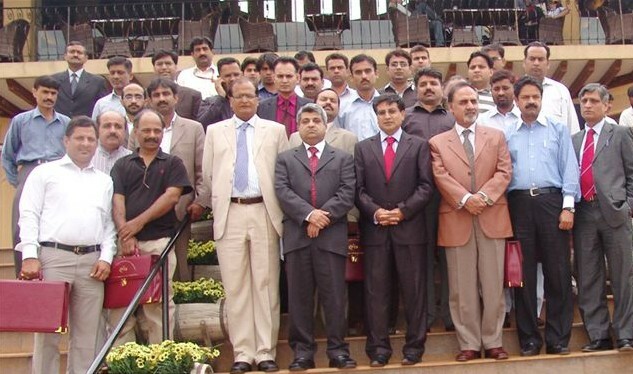 Pakistan Telecommunication Authority (PTA) organized 2nd National Workshop on Telecommunication Reporting here today. Chairman PTA, Dr. Mohammed Yaseen presided over the event while Member (Finance) PTA, Syed Nasrul Karim Ghaznavi, Member (Technical) PTA, Dr. Khawar Siddique Khokhar, Director Generals and other officials of PTA and representatives from print and electronic media participated in the workshop. The objective of this workshop was to apprise the media persons on the mandate and responsibilities of the telecom regulator as well as on the regulatory environments in telecommunications of Pakistan. This workshop was aimed at enhancing the skills of media professionals on telecom reporting. During the workshop, Director Generals of various Divisions of PTA gave presentations to the participants of the workshop, which included records of the performance, achievements, goals and objectives of each division of PTA. These presentations covered areas such as Telecom Laws and Regulations, Tariff Regulations/APC/Interconnection, QoS Surveys/SIM Information System 668, Consumer Complaints/Regulations on Unsolicited SMS/SPAM, Licensing Regimes/3G, 4G and MVNO. Dr. Yaseen said that Pakistan has emerged as one of the leading markets in telecommunications during past few years. A rapid growth in telecommunication technologies has further multiplied the development of this sector. This spectacular growth in telecom sector has made an efficient regulatory system of immense importance to cope up with the ever arising challenges, he added. The Chairman said that PTA as the regulator of telecom sector is well prepared, established and skilled not only to face these challenges effectively but has also successfully maintained high levels in order to compete with the international regulatory trends. He said that all the tokens of appreciation and recognition which we received from international bodies like Lirne Asia are evident of PTA’s brilliant performance as the telecom regulator of Pakistan.